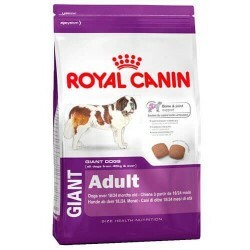 Dry food Royal Canin for dogs giant size, more than 45 Kgs. Giant / There are 2 products. 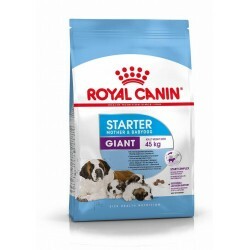 SAFETY DIGESTIVEExclusive combination of nutrients to ensure a safety digestive optimal proteins (L. I. P.) and favor the balance of intestinal flora (prebiotics: FOS, MOS), thus contributing to improve the quality of the stool.